We all struggle to discover satisfaction and contentment in the modern world and yet the more technology we use, the more things seem to get worse. What are we all missing? What will it take for us to find our centers? Pedram Shojai shares how the calmness of Zen masters is attainable in today's fast-paced world, and with practice, you too can stop time, refuel, and focus on the things that really matter. 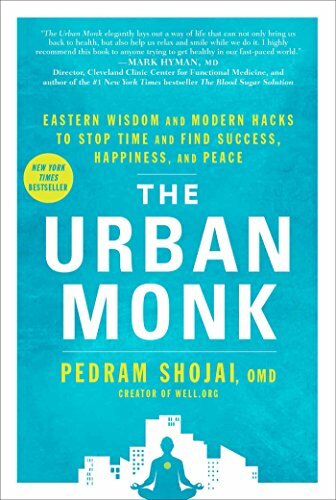 The Urban Monk, a New York Times bestseller, reveals the secrets to finding an open heart, sharp mind, and grounded sense of well-being, even in the most demanding circumstances. ShojaiÃ¢ÂÂs no-nonsense life mastery program brings together clear tools and exercises that can elevate your existence. Learn to honor your body with nutrition and shake free from addictions to toxic substances and experiences. Let your body and mind unwind each day with evening meditations, loosening exercises, and resting rituals that will keep any stress or unfinished business out of the bedroom, helping you sleep better so that your body can rejuvenate. The Urban Monk is filled with priceless practices that you can use in your daily life, right here and now. It is designed to be your companion in this crazy world we live in. Get it dirty, mark it up, and take it around with you on your journey to becoming an Urban Monk. ThereÃ¢ÂÂs no need to move or drastically change your current life. You can find peace within, and The Urban Monk will teach you how to calm the chaos in your head.